Here you'll find a list of all available study materials to prepare for the OCA 7/8 exams. In May 2012 the JA+ V7 for Oracle Certified Associate - Java SE7 Programmer I (1Z0-803) from Enthuware was released (according to Enthuware). SCJP 6 (K&B) - Kathy Sierra and Bert Bates (this is an older book but chapters 1-5 plus the sections on ArrayList, String, StringBuilder, hashCode(), and equals() cover the OCA). More info in this topic. On February 20, 2015 the JA+ V8 for Oracle Certified Associate - Java SE8 Programmer I (1Z0-808) from Enthuware was released (according to Enthuware). There are several other books in progress, and we'll update the list as they become available. Also, if we missed any currently available materials, say so on this thread! OCA Java SE 7 Programmer I Certification Guide, by Manning, authored by Mala Gupta. I knew your book was "in progress" but on Amazon it says it won't be published until December. Is it available now? If not, can you tell us when, and I'll add it to the list! Complete OCA Certification Guide, authored by me, in ebook format has been made available since September 15, 2012 through MEAP. Its print version will be available soon. As you know, Manning's e-books are available through MEAP (Manning Early Access Program), before their print version is available. I wish you Good Luck with your book! Several computer book publishers provide "early access" programs such as the MEAP program Mala is discussing. Typically, books in "early access" are still under development, perhaps finishing a last chapter or two, perhaps fixing errors or reworking confusing sections. For my money, early access books are usually a good idea if you're in a hurry to read about a topic - usually the gist of the topic is covered and it's fairly easy to overlook the last minute "sprucing up" that most publishers do. Regardless of the current books and studies guides currently in the market, I would say "From east to west, Bert and Katy books are the best"
Khaled Mahmoud wrote: Regardless of the current books and studies guides currently in the market, I would say "From east to west, Bert and Katy books are the best"
Is your book "OCA/OCP Java SE 7 Programmer I & II Study Guide (Exams 1Z0-803 & 804)" released?If not when will it be releasing? Even I am looking forward to purchase a good book for OCJA prep.Which is a must book to go ahead,any suggestions ? how many times can we take an exam? Lets say I pass the exam with lesser %,can i take it again? please let me know. Thanks for the info on books. But regarding lesser passing % in the exam,I remember reading that one cannot take exam again ,it s this true ? Do anyone else know about this,please share the info. Kavya, please see your private messages for an important message. Amit Ghorpade wrote: Kavya, please see your private messages for an important message. Did Kathy Sierra and Bert Bates released Java 7 certification book? Is the above book availabe now.? Amazon now shows it as having a June release date. Any idea when OCA Java SE 7 Programmer I Certification Guide (by Mala Gupta) book shall be available in India ? Right now am preparing for SE7 exam from KS &BS SCJP 6 Book. Actually i bought this Book last year without realizing that now exam is for SE7. So my confusion is: what are the topic i can skip from SCJP 6 Book ?. What topic for SE7 are not covered in this book. ? Is Collection Framework now part of SE7 exam? Bert, any comments from you end will be very helpful. Welcome to Java Ranch !!! We do have some books available in market for Java 7 Certification. what are the topic i can skip from SCJP 6 Book ? , What topic for SE7 are not covered in this book. ? You will have to match Java 7 and Java 6 Cert course for this question. One thing I am sure that all new Java 7 features (String based switch case etc )shall not be in Kathy Sierra book. Is Collection Framework now part of SE7 exam? Collection Framework is an integral part of Java ... It is there in Java 6 and Java 7 course. I am interest in OCAJP SE7 as thats the starting point. can you recomend few Mock Exam before we take this exam. Am not too sure if just KS & BB Book will be sufficient for the exam as we need to practice a lot on mock exam to clear concepts. Also what Books are available for ocajp SE7 exam? Do you know if Mala Gupta's Book is now available in India ? 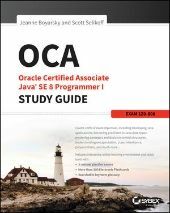 Hello i'am very new to java ranch..i'am planning to write ocajp se 7 (exam code:1Z0-803 ) , i have seen a post at the beginning of this thread saying that the chap 1-5 of scjp 6 book(Kathy sierra and Bert bates) is relevant for the exam..i'am here to ask whether i can skip the rest of the chapters? Sorry for delay in response. I have not given Java 7 Associate exam (as I had passed SCJP 5 Cert in past ). So I gave only "Upgrade to Java 7" Cert exam. So I can not tell you the mocks exam for that cert. Many books are available. Just do a search on Amazon. You shall find it. I do not know whether book by Mala Gupta is available in India. I also want to buy that book. Do you know if Mala Gupta's Book is now available in India ? I am pleased to share that my book was released on 2 April and is available on Amazon.com, Manning.com as well as other major book stores. I am afraid I can't confirm about the availability of this book at local stores in India. I have sent you a private message in your inbox,could you please reply back. Thanks a very helpful post. Still a beginner at crafting quality coding but have the zeal to learn more. Your help would be appreciated. I have sent you a private message in your inbox,could you please reply back. Sorry for posting this message here. I have referred the book to my friends but they are finding it unavailable on indian stores.Could you confirm as to when it will be available in indian stores. I have good hands on java, i want to go for OCAJP7 certification, my concept is clear but dont have any information which type of questions comes in OCAJP, is enthuware mock exam is sufficient for this. Please reply ASAP. I gave OCAJP7 exam on October 11th and passed with 83%. I would like to thank Mala Gupta for the wonderfully written book and very well explained.It really stresses on minute details and one can never undertand until you get into it. The enthuware mock tests were also very helpful and made my preparation even more tighter. I gave the exam in 1 month of preparation. I am planning to give OCPJP7 exam in the next 2 months and was just searching that there is only 1 book available from Ganeshan regarding the same. Can someone help me in preparing for OCPJP7? I have cleared SCJP 5, Please give the details to upgrade to Java 7. Looks like Kathy Sierra's and Bert Bates' book OCA/OCP Java SE 7 Programmer I & II Study Guide (978-0071772006) is going to be released Dec 26, 2014 per Amazon. I am planning to take Java SE 7 Programmer I exam. I am looking for Java SE 7 Programmer I & II Study Guide by kathy sierra but its not in stock and i have pre-ordered it.Can any one tell me when will that book be available so that i can plan accordingly. It seems this book is finally on his way to be released... More info can be found in this thread. When can we expect a electronic copy of Kathy sierra OCA 7 SE programmer study guide. Any new updates for this message ? Anil Kumar V wrote: Any new updates for this message ? I was so excited to see an update to this thread but for naught. Andrea Black wrote: I was so excited to see an update to this thread but for naught. Which book to use for OCAJP8 certification?